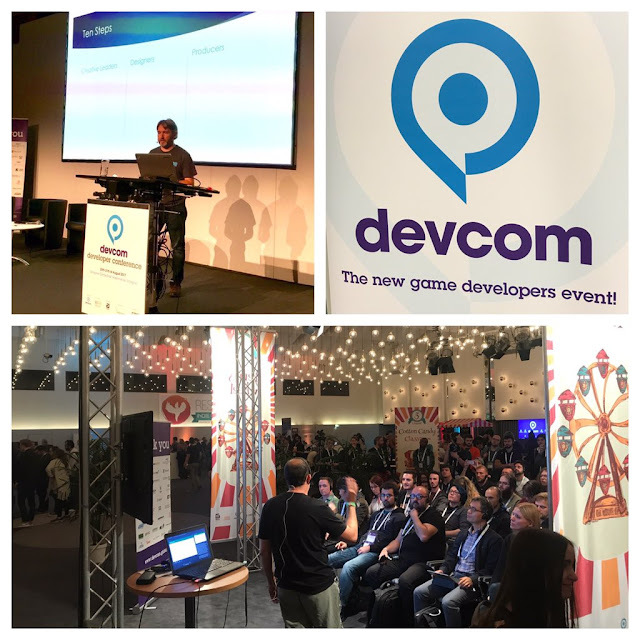 Last week was the inaugural Developers Conference ahead of Gamescom in Germany. I had the honor of delivering a session as part of the conference. 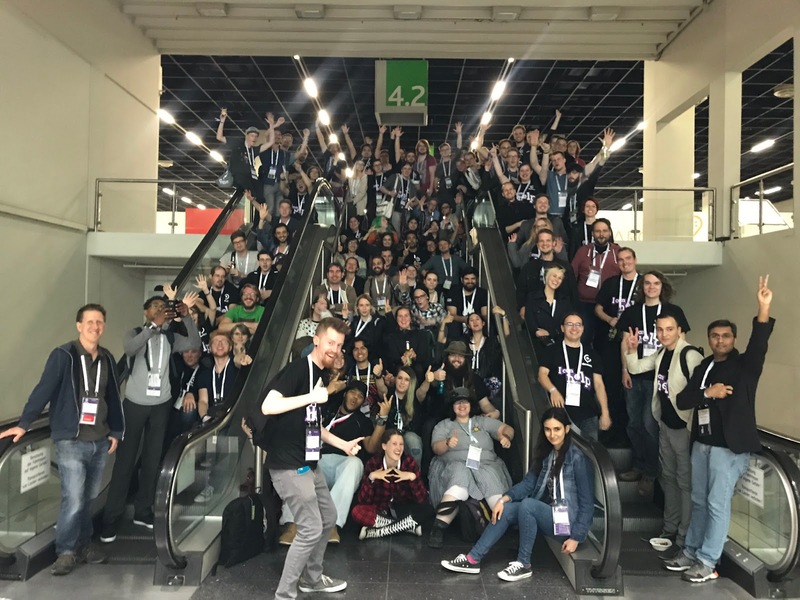 It was a great experience, and it was fantastic to get to meet more European developers and get to share some thoughts on a subject I'm passionate about. The conference itself was actually two conferences ahead of the other conference. Devcom shared the same space as the indie focused Respawn Gathering, in the same convention center as the massive Gamescom gaming convention. 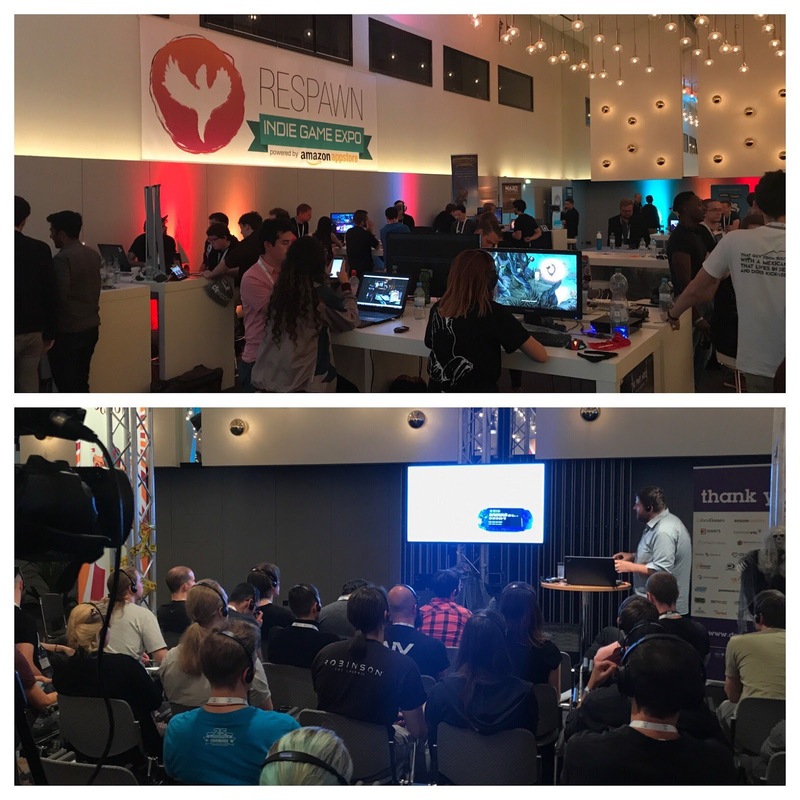 I love the fact that the games industry believes in knowledge sharing, so I always appreciate the opportunity to come and speak at events like this. (Thanks again to Tobias Kopka for the invitation!). It also created a cool atmosphere having the two events side by side. I was able to chat with developers from across the spectrum of game development. It was fantastic to have such a positive reaction. Lots of good discussions afterwards and I was glad to be able to provide something that people seemed to find both practical and inspirational. That was the original aim. It's a session I'm actually kind of proud of all told, I hope I get to deliver it again in the future. I genuinely believe in the subject, and I think it resonates with people. Games are complex beasts, requiring both specialized technical skill, and strong creative skills. That means that even simply co-operating to make a game is hard. Genuinely collaborating with other creatives, and trusting each other, is even harder. The session touched on some tips and advice for building the trust required to genuinely collaborate with other creatives. I also got to meet some new folks, and chat about game development with other studio folk, and aspiring designers and students. The final part of the convention I got to take part in was also incredibly rewarding. A few of us speakers were asked to do a closed door Q&A after the main conference ended, with just the volunteers. It was a kind of 'thank you' from the organizers for all the hard work that the volunteers put into making the show happen. I always appreciate the work that volunteers put into events like this, and don't hesitate to give back a little if I can. We ended up having some great conversations, and the impromptu panel we had there were an amazing bunch of folks. It was wonderful to be able to answer the volunteers questions about the industry and have some cool conversations about the future, and what makes it special to work in games. In short - these folks are awesome! Overall it was a great trip. It's a long way to go from Southern California, but this one was worth it!